We recently caught up with DJ Fancy Restaurant for a Q&A. Check it out below! 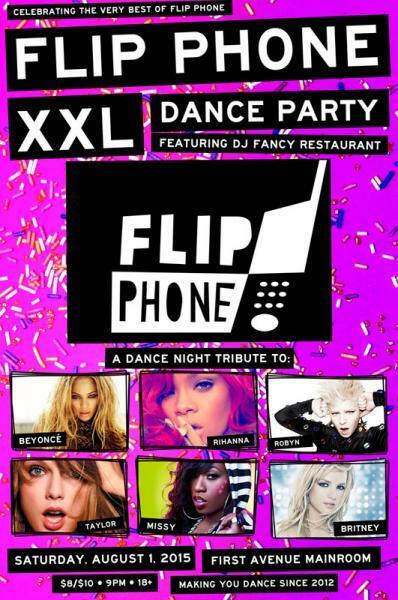 You can catch him in the Mainroom on Saturday, August 1st, for Flip Phone XXL. Q: Which “flip phone era” bangers are you most excited to spin in the Mainroom? A: I have a soft spot for Beyonce and Sean Paul’s “Baby Boy,” it always gets the crowd moving. I also can’t wait to play Robyn’s “Call Your Girlfriend,” it’s fun to see everyone re-enact the music video. Other favorites: “Get Ur Freak On” by Missy Elliott and “Bossy” by Kelis. Q: Tell us about your favorite experience in the Mainroom. A: There are too many to write down! It would have to be when I saw Janelle Monae perform and Prince was dancing to her in the box. You could feel the energy and excitement in the room. Other top experiences: Robyn, Cut Copy and Paul Simon. Q: TLC or Destiny’s Child? A: This is the most difficult question! TLC’s Creep is one of my all-time favorite jams. However, Destiny’s Child is always a 100% guarantee to get the party started, they had so many great hits. Can it be a tie! ?